1. 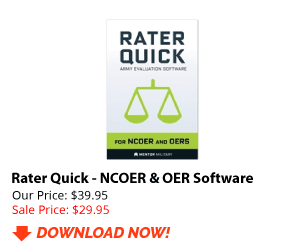 I heard that rater, senior rater and reviewer can be all DOD civilians as long as the reviewer is a Senior Executive Service (SES, is that true?2. Also , can the senior rater and the reviewer be of same person who is an SES? It is my understanding that the rater and Senior Rater can be the same person but that the reviewer must be another person. 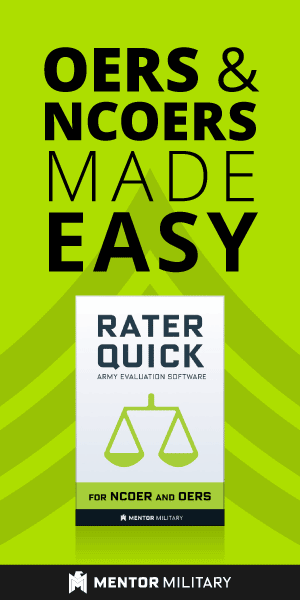 If there is not a military person in the rating chain an enlisted evaluation should be reviewed by a senior NCO. 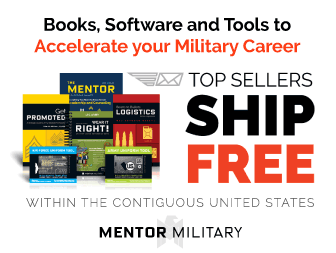 Where can I find a list of resident mili...Where can I find a list of resident military schools that I can attend to earn promotion points? Can a Soldier be charged with Larceny un...Can a Soldier be charged with Larceny under UCMJ if they were cleared by the Military Polices?